though the salt glaze was so heavy that it was almost indiscernible. To an untrained eye this wouldn't be noticed. 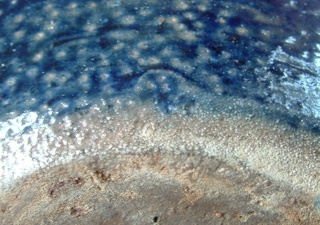 Check it out for any variations in the uniformed salt glaze. My camera has gone kaka or I would show you a pic. Nice find Jo As unmarked means cheap! 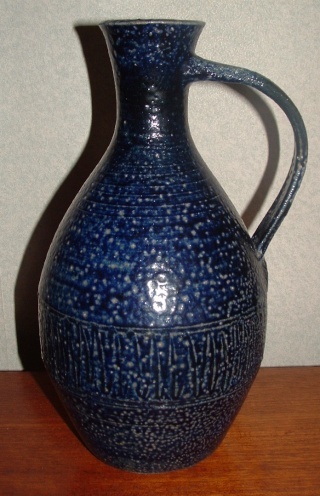 Is that possible mark placed below the jug handle? As that's the most common place for potters to put their mark.